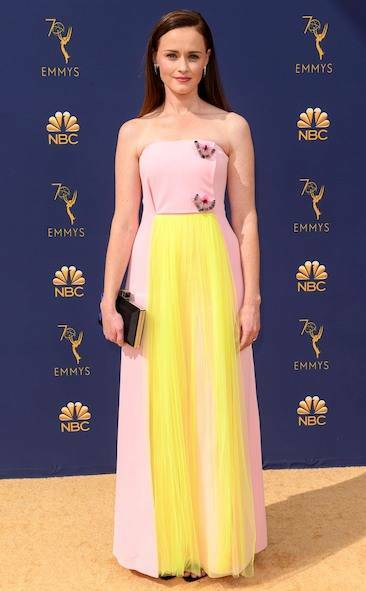 The 70th Emmy Awards were held last night and the tv stars came out to shine. As a tv lover, I look forward to the Emmys coz unlike movies, I’m able to catch up on shows quicker than I’m able to sit through a 2hr flick. I was watching the Red Carpet with my 6yo and together we picked our favourite looks. I look forward to seeing colour and for celebs to just let their hair down and have fun. Did you watch? Whose looks did you enjoy? 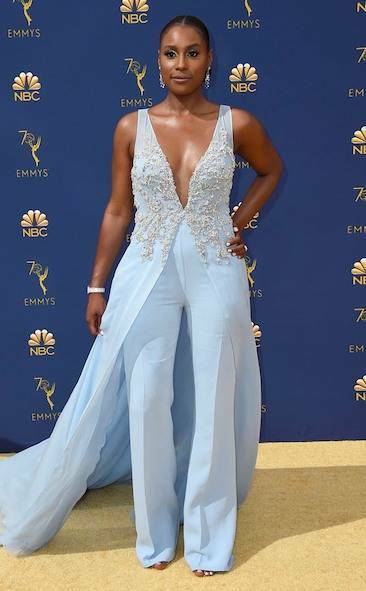 Issa Rae. Looking like the goddess she is. Regina King. The kid said she wasn’t sure about the colour of this gown but liked her bare shoulders lol. 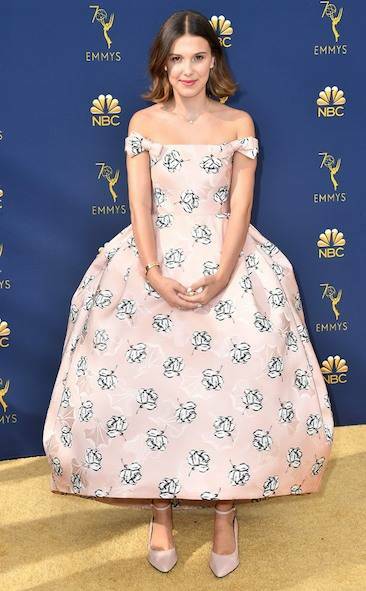 This Christian Siriano gown is a win. Fit for a winner! Congrats to this Queen. Thandie Newton. I’m usually not a fan of scarf type dresses but this colour and how she owns it has totally changed my mind. 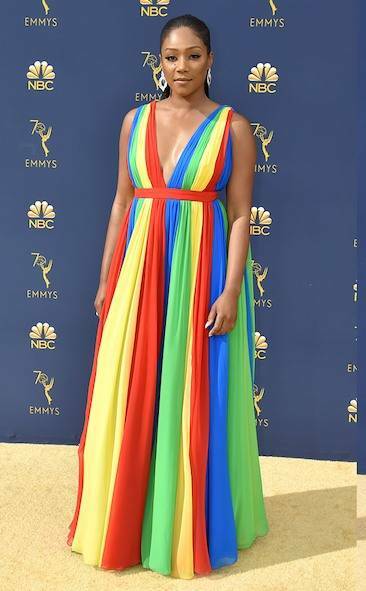 Marsai Martin. Look at how this young queen has blossomed. Dakota Fanning. I am so down with his Dior gown. Yvonne Orji. I made an exception for Yvonne in black because I couldn’t ignore how regal she looks. Her style is one to watch. Whoever styles her does an amazing job. Alexi Bledel. 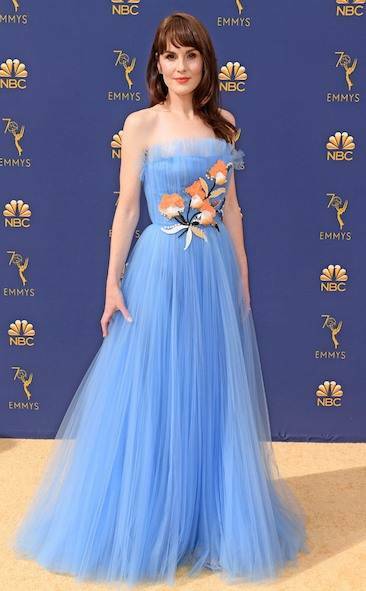 She looks so damn pretty in this Delpozo gown. Sandra Oh. Oh I like this, especially her hair. 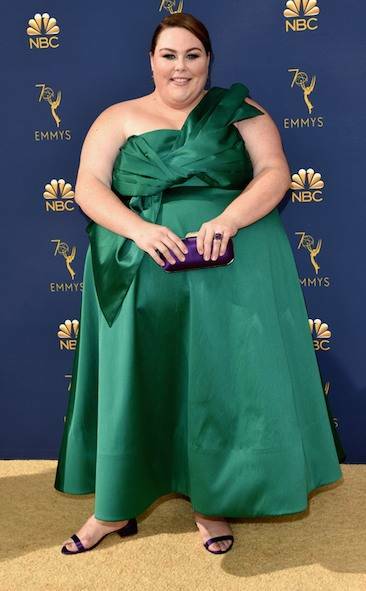 Chrissy Metz. I really like this green on her, her stylist nailed it this time. Yara Shahidi. Isn’t she lovely? Samira Wiley. I was mesmerized when I saw her walking down the carpet. Millie Bobbi Brown. So adorable, she has such a great sense of style. 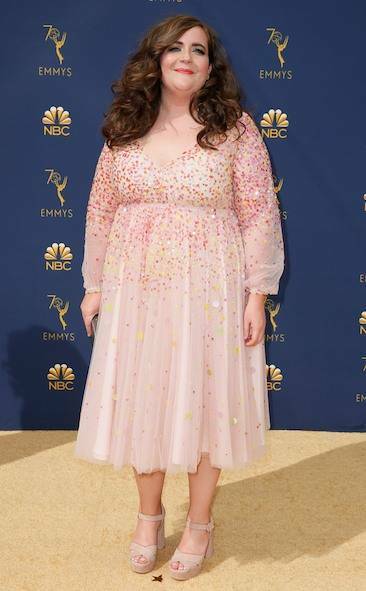 Aidy Bryant. Another pretty frock. Love it. Jessica Biel. I usually don’t like Jessica’s style but there’s something about this look that I’m enjoying. Tracee Ellis Ross. Now some of you will be like WTF? But listen to me, this is FASHION. 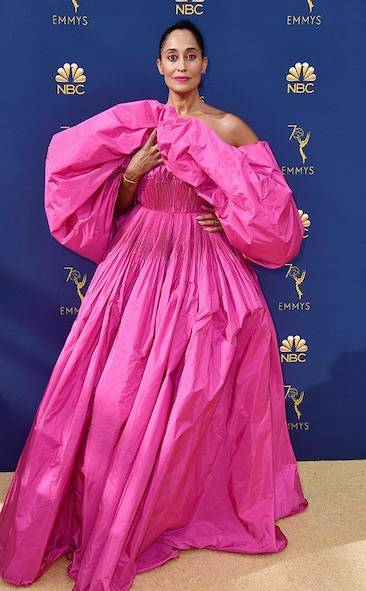 And Tracee knows FASHION and how to work it. Approved!! Alison Janney. I‘m continuously impressed by her style choices. Claire Foy. I was ambivalent about this but there’s something about it that’s captivating plus she wears it well. Favs: Michelle, Thandie, Yvonne !